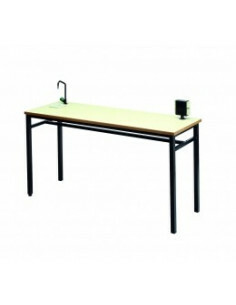 School desk with steel tube structure gray, green or black with rod holder tray documents. Top in layered in cream L-138, L-302 green min and has L-416 with songs in DM or PVC. 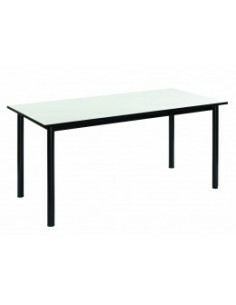 Measures 60x40 cm Size 3 to 6. 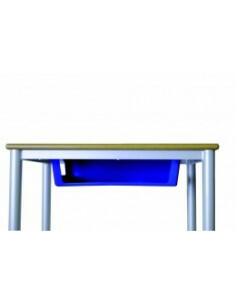 School desk with modesty panel. 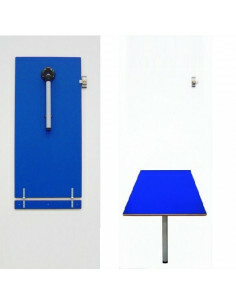 Table with metal structure and laminated table top. 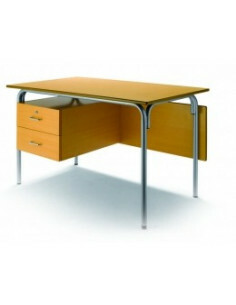 Modesty panel and document tray included. 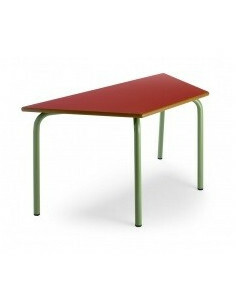 Table top in two colors available. 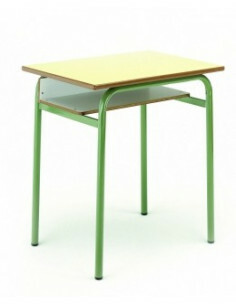 Measures: 50x70x70 cm (for 12 to 14 years old) and 50x70x75 cm (for classrooms for adults). 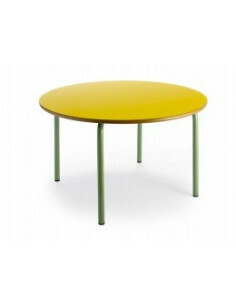 Dining-room table to pick up chairs on tubular steel painted with epoxy polyester green or black. MDF laminated cover in cream L-138, L-302 min green or gray L-412. Equipped with leveling on one leg. 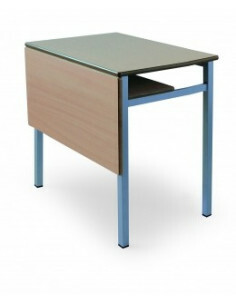 Teacher table with drawers. Steel tube structure Ø30x1,2 Epoxy-polyester painted in black, green or gray. 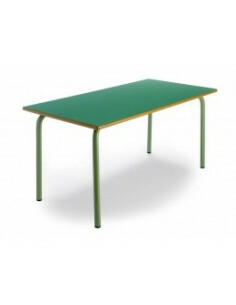 Top, skirt and buc 2 drawers DM laminate with rounded edges painted with polyurethane cream color L-138, L-302 green or has L-416. Buc two drawers, top with lock. 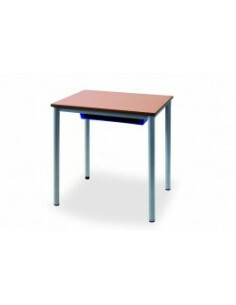 Measures 120x70x76 cm. 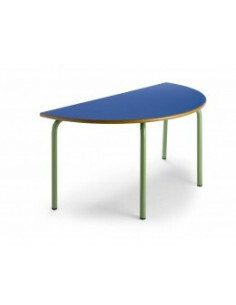 Children's table for kid's room or nurserys, hotels, restaurants, etc. 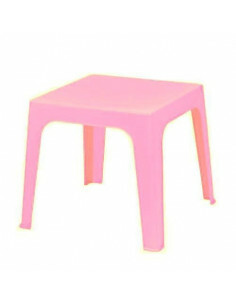 Plastic table for indoor and outdoor use: garden, terrace, etc. 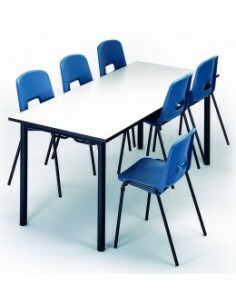 See also chair JULIETA and set of 1 table + chairs, code cju1032001. 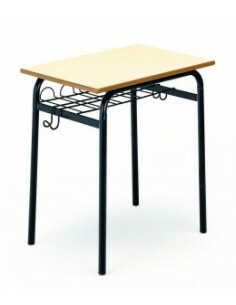 Stackable table. Diferent colors.